To make my Strawberry tart last week I needed egg yolks for the recipe, 3 to be precise, so that meant I had 3 egg whites left over and I didn’t want to waste them!! And they came out perfectly!! I’m really happy with the results, they were just how I like them. Crispy on the outside and and just a little chewy in the centre. Tip the egg whites into a large clean mixing bowl (not plastic). Beat them on a medium speed with an electric hand whisk until the mixture resembles a fluffy cloud and stands up in stiff peaks when the blades are lifted. Now turn the speed up and start to add the caster sugar, a dessertspoon at a time. Continue beating for 3-4 seconds between each addition. 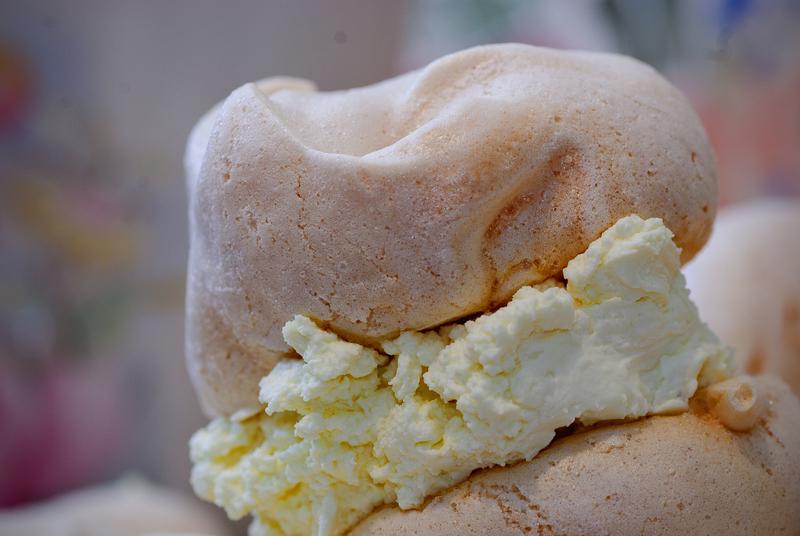 It’s important to add the sugar slowly at this stage as it helps prevent the meringue from weeping later. However, don’t over-beat. When ready, the mixture should be thick and glossy. Sift one third of the icing sugar over the mixture, then gently fold it in with a big metal spoon or rubber spatula. Continue to sift and fold in the remaining icing sugar a third at a time. Again, don’t over-mix. The mixture should now look smooth and billowy, almost like a snow drift. Scoop up a heaped dessertspoonful of the mixture. Using another dessertspoon, ease it on to the baking sheet to make an oval shape. Or just drop them in rough rounds, if you prefer. Bake for 1.5-1.75 hours in the oven, until the meringues sound crisp when tapped underneath and are a pale coffee colour. Leave to cool on the traysor on a cooling rack. 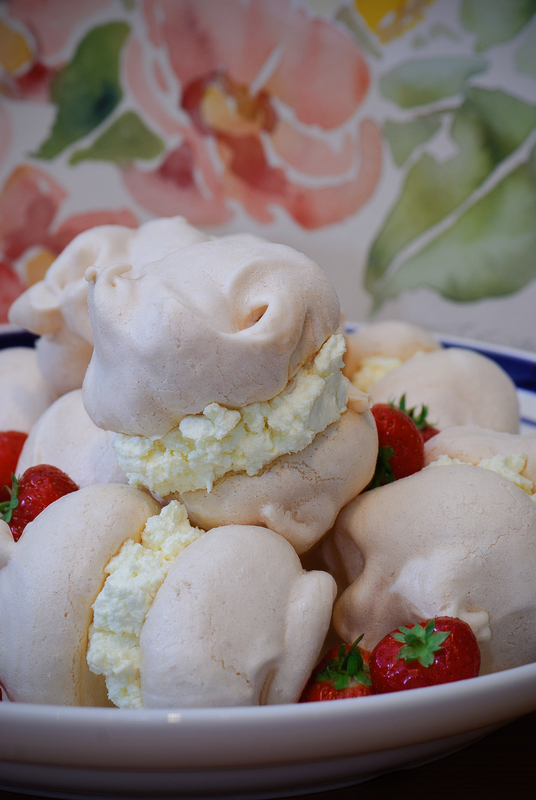 The great thing about these meringues is they will keep in an airtight container for up to 2 weeks, or frozen for a month!! 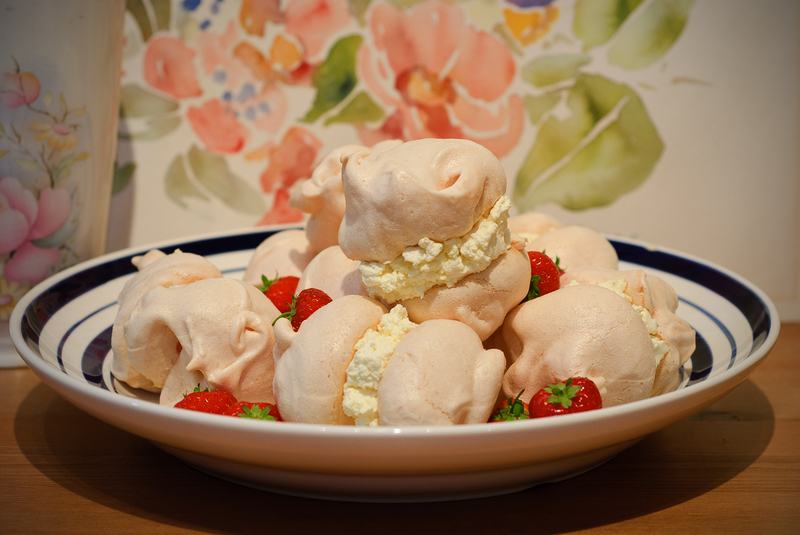 Serve 2 meringues sandwiched together with a generous dollop of softly whipped double cream. 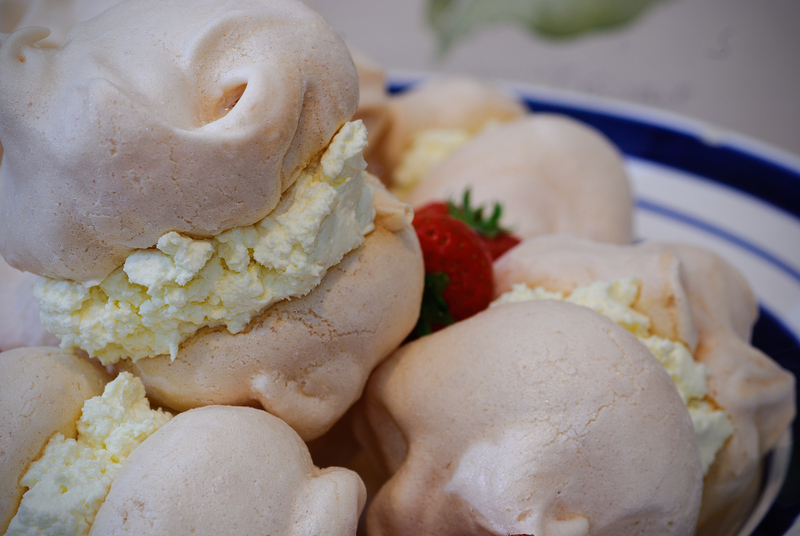 Man, I love meringues. They’re my Kryptonite. 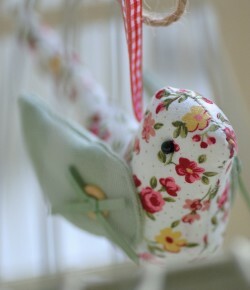 These look lovely. Did you use a hint of pink food colouring? Oh no, a few days ago I ended up with 4 leftover egg whites and I made an egg-white omelet. What was I thinking?? !